Walk out of the salon with a different hairdo than you came looking for, and well, money’s not much help. Time is needed to grow out those awkward bangs. For most other emergencies—you know, real ones like when you accidentally wreck your car because you’re crying over that bad haircut—cash-on-hand saves the day. Maybe you’re nodding along in agreement because money in a real emergency fund would solve lots of problems. But you’re unsure of how to save up or what to do first. We’re here to help! Below you’ll find answers to all of your emergency fund questions as well as tips for where to store your money and when to use it. The opportunity to pursue big money goals without setback. Peace of mind no matter what comes your way. The freedom to focus on what really matters when tragedy strikes. That’s because you’ll have a chunk of cash in the bank ready when you need it. Back in the day maybe you’d panic and throw a credit card at your problems. Read on to learn how to set up and grow your emergency fund. Intrigued? Good! Curiosity is a great first step. Let’s talk through some of the most common questions we get about emergency funds. 1. Why do I need an emergency fund?Life happens. The car breaks down in a dramatic fashion (always in a dramatic fashion), you lose your job, or all three kids get sick at the same time your roof starts caving in. Without an emergency fund, you might manage to get by for a while. But it’s tough, right? You work all day trying to pay for everything and then stress keeps you company at night. That’s no way to live! You need something more sustainable. With an emergency fund, you can ask the roofer, “How much do I owe you?” Then write a check and move on. You can even fix the car and be back on the road in no time, breathing easy all the while. Bottom line: An emergency fund acts as your safe bridge over troubled waters. 2. How much money should I set aside?We like to respond to this question with a question of our own: Where are you in the Baby Steps? When it comes to an emergency fund, those working to reduce non-mortgage debt should start small. You can scrounge up a starter emergency fund pretty quickly—an excellent plan that allows you to keep throwing money at your student loans or the credit card company without needing to take on new debt when something unexpected comes along. Debt-free except for your home? Bravo! You’re ready to build a fully funded emergency fund—one that could sustain you for months if needed. Want specific numbers? We’ve got you covered. A starter emergency fund equals $1,000. A fully funded emergency fund equals three to six months of expenses. Bottom line: An emergency fund should protect you on every step of your financial journey. 3. Where should I store my emergency fund?Don’t keep your emergency fund cash under your mattress, that’s for sure. You want an emergency fund that’s easy to access but not too easy. Open a separate checking account or a money market account that comes with a debit card and check-writing privileges. Bottom line: An emergency fund should be tucked away in a separate account but easy to access if needed. I’m sure you’re wondering where to get the cash to beef up your emergency fund. After all, depending on your situation, coming up with $1,000 or—gasp!—$10,000 seems like a joke and not at all in the realm of possibility for the average person. 1. Create a monthly budget. When you tell your money what to do and account for every dollar, you find more of it. That’s because a budget enables you to save before you spend. And EveryDollar makes the whole process super easy. 2. Say no to new debt. Rack up more interest on your credit card or take on a new car payment, and you’re parting ways with the very dollars you could use to build your emergency fund. Make debt your enemy because . . . well, it is. 3. Sell something or a whole lot of somethings. Clear your clutter by posting unused items on sites like Craigslist, eBay or Varage Sale. You can also find local buy/sell/trade pages on Facebook, try an app like letgo, or host a good old fashioned yard sale. 4. Temporarily cut your expenses. Ask yourself: What can I do without? Consider any memberships or subscription services like the gym, Amazon Prime, cable TV or magazines. You might also reevaluate your cell phone plan, cut back on eating out, or go to the movies less. Add this newfound extra money to the emergency fund line in your budget. 5. Increase your income. Take on an extra job outside your normal working hours. In today’s world this looks a lot different than slinging newspapers or delivering pizzas. While those jobs are great options, you can also start a side business on Etsy or look for ways to work from home at your computer. Concerned that money sitting in the bank is a wasted opportunity? Sure, an emergency fund won’t earn you much of a return just sitting there untouched. But it helps to remember than an emergency fund won’t remained untouched forever. You’ll need it eventually. The Report on the Economic Well-Being of U.S. 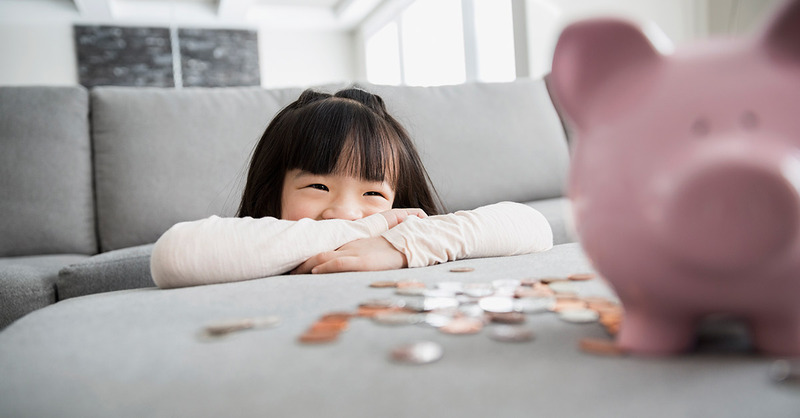 Households conducted by The Federal Reserve found that 44% of adults could not cover an emergency expense costing $400.¹ If you can’t cover an emergency like an unexpected medical bill or failed furnace, you’ll be tempted to borrow or swipe plastic to pay for it. But not if you have an emergency fund. By helping you avoid new debt and the interest charges that come with it, an emergency fund actually saves you money. Tempting as it may be, the emergency fund does not exist to fund your next vacation. Take the Quiz: Should I Use My Emergency Fund? Look for a yes to all three questions before making an emergency fund withdrawal. What Are You Waiting For? Set Your First Emergency Fund Goal Today! Sit down with your EveryDollar budget to determine how much money you can put toward your emergency fund next month and make it happen!